Supernatural characters and life states have been in The Sims 3 and will hopefully continue to be added to the game. The most basic of these is the ghost Sim that is seen after a Sim dies. They glow certain colors and can interact with Sims that are still alive, and they can even have The Sims 3 ghost baby with another Sim! Expansion packs for the game have brought in more supernatural characters. “World Adventures" gave mummies, which isn’t really a fan favorite but is interesting nonetheless. “Late Night" was the real crowd pleaser though because it gave Simmers the ability to have vampires in their game, and also a new type of The Sims 3 vampire ghost to play as too. “Ambitions" gave SimBots, and “Generations" added in imaginary friends that can eventually be turned into real human Sims. As more expansion packs are added for the game, hopefully more types of supernatural life states will also be added for gamers to have fun playing with. 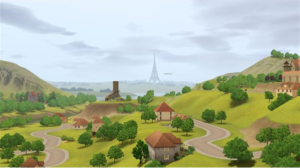 One of the main supernatural playable life states in the game is The Sims 3 ghosts, which is available with the base game. You can find ghosts in the local graveyard at night. You could also kill off a Sim and keep their tombstone on your Sim’s property. This will allow the ghost to appear right at your Sim’s home at night. If you want to actually have a playable ghost Sim, you will need to complete the “Oh My Ghost!" opportunity. When you play as a ghost, you can do most of the things other Sims can do, including get married, WooHoo and have babies; only yours will have a chance of being a ghost baby. You can also scare other Sims, walkthrough walls, objects, and even other Sims. The ghost Sim glows a certain color depending on the way they died. Drowning shows as blue, electrocution shows yellow, falling meteor shows orange, fire shows orange, hunger shows as a pinkish purple, mummy’s curse shows as a dark grey, and thirst shows as red for The Sims 3 vampire ghosts. “The Sims 3: Late Night" expansion pack added The Sims 3 vampires as a playable life state to the game. Vampires can’t stand being outside during the daytime, so they sleep during the day, and come out at night. They love to party, and all of the clubs, bars, and lounges that were also added with the expansion pack are where they go to have fun. Vampires can turn a regular human Sim into another vampire, if they choose to do so. Doing this generally requires a high enough of a relationship with the vampire for them to accept the proposal to join them as a vampire. After a human Sim is bitten from their request to turn into a vampire, it will take three days to actually transform into a vampire. Play as a… Vampire Ghost! If you like ghosts and you like vampires, why not have the best of both worlds, and become The Sims 3 vampire ghost for a while? Vampires don’t eat. They drink the blood of other Sims, drink a “Plasma Pack" or eat “Plasma Fruit." So, vampire Sims can’t die from hunger, but they can die of thirst. 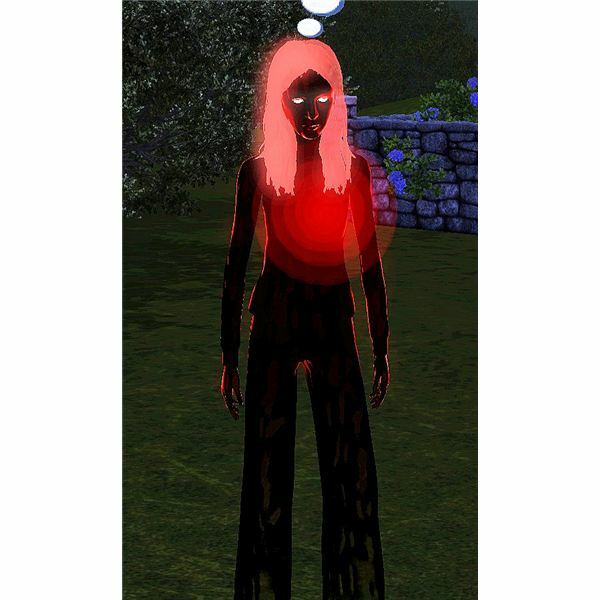 The Sims that die of thirst will become a brightly colored red ghost Sim, or a darker red/black ghost with a pulsating red spot where their heart would be. To quickly make a ghost, use the “testingcheatsenabled true" cheat. Then, on the Sim’s basic needs, click on the thirst section and lower it until it has nothing there. This will instantly make them die of thirst and turn them into a ghost. If you don’t want to use cheats, just have them not drink anything until they die of thirst. 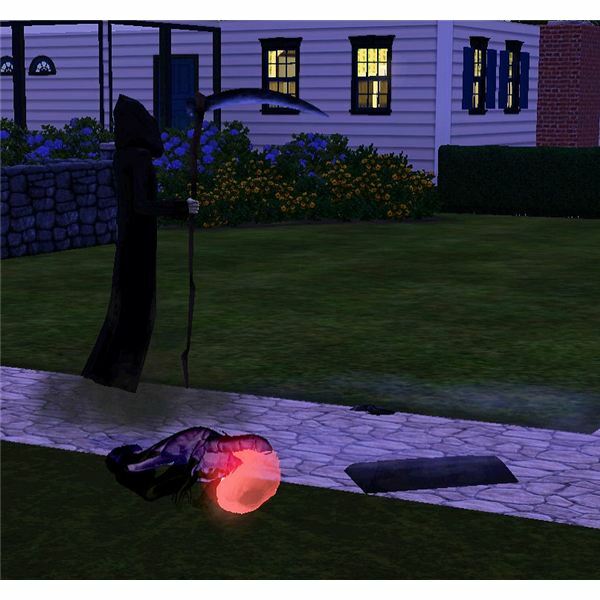 Other Sims can interact with the ghost late at night, near where they have their tombstone. They are taken out of the household Sims shown in the family, and aren’t fully able to be interacted with until they are turned into a playable ghost. When a Sim dies, they aren’t instantly turned into a playable ghost. You will need to a few things in the game before that happens. To become a controllable character again, you will need to have a Sim that they were close with before they died complete the “Oh My Ghost!" opportunity. After that quest is completed, you can play as a ghostly vampire for as long as you wish. If you want to become a regular Sim again, just have the ghost eat The Sims 3 ambrosia to bring them back to life.